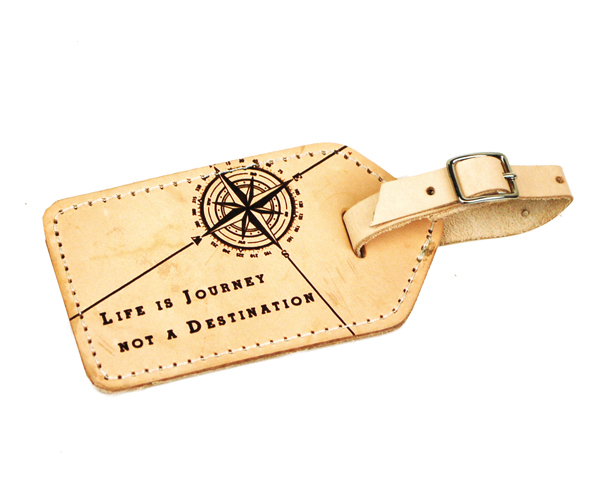 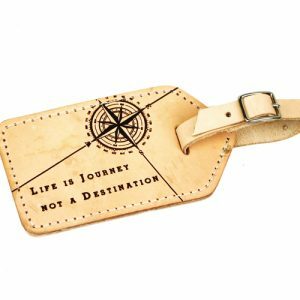 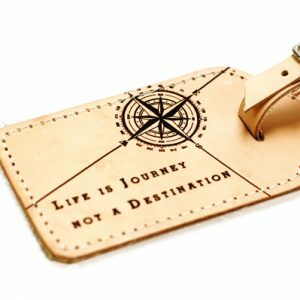 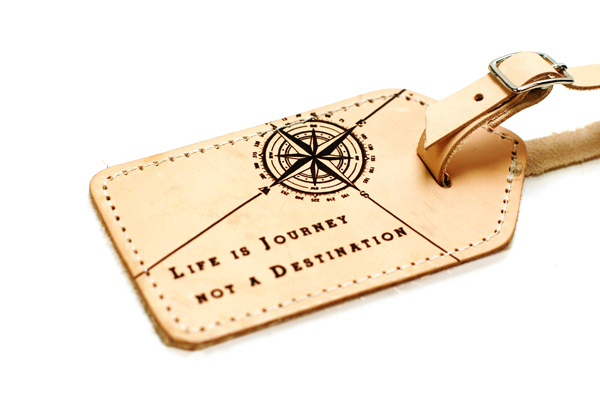 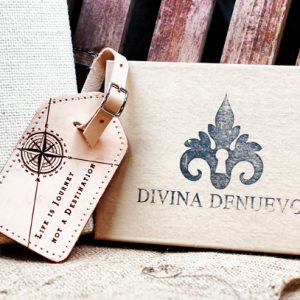 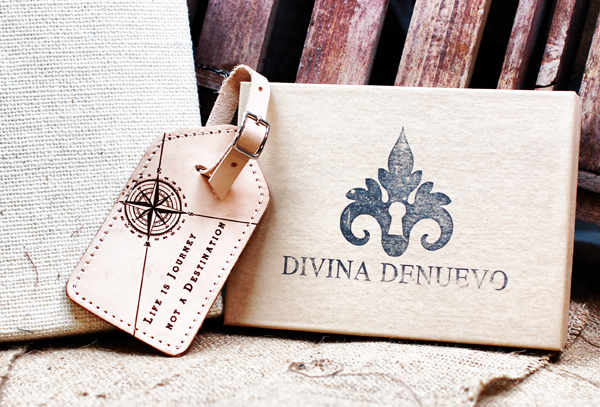 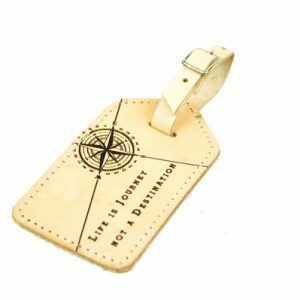 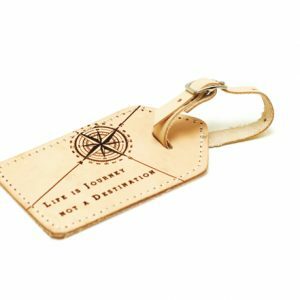 This luggage tag would be a great accompaniment to tickets somewhere, or as a gift for someone about to begin a journey – be that physical or spiritual. 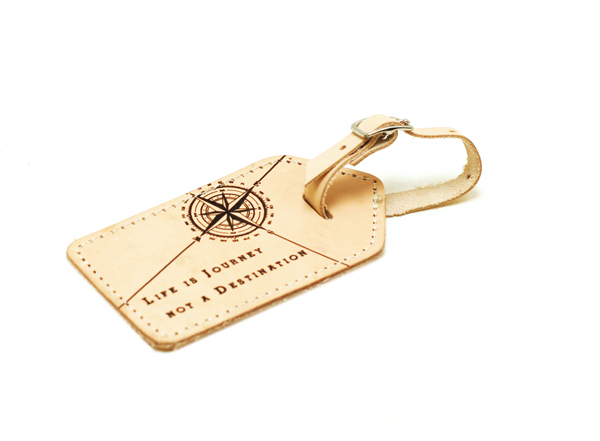 They make a great gift for graduates! 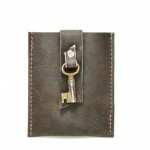 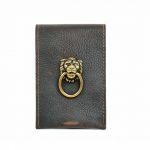 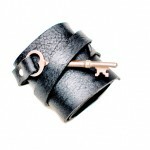 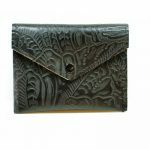 They’re made using a strong vegetable tanned leather that will darken to a beautiful tanned colour as time wears on. 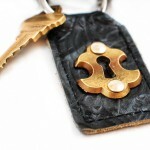 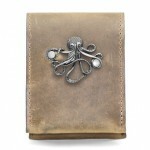 The graphics are burned in to the leather so they’re there to stay forever. 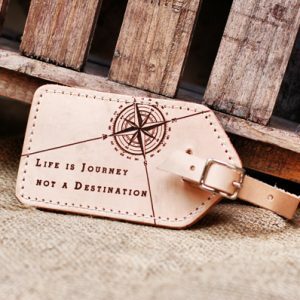 The tags are stitched with industrial grade thick white nylon thread and finished with strong hardware that will stay on your suitcases through all of life’s adventures. 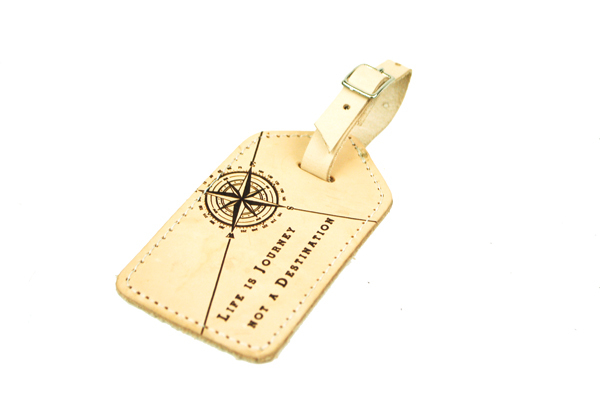 The reverse side has a flap that opens up where you insert your business card or a piece of paper with your address and contact details. 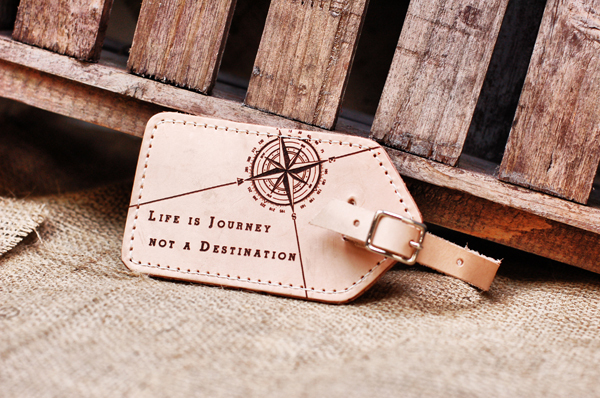 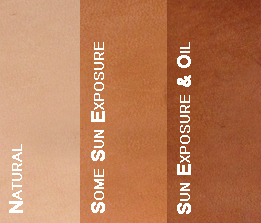 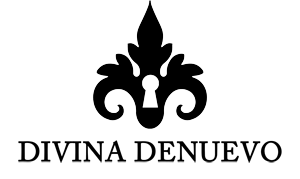 *font size will vary depending on the length of the quote, in order to ensure it fits on the tag.